eFunda Directory Service: Company Details: Delta Adsorbents Division of Delta Enterprises, Inc. Distributor of desiccants including activated alumina desiccants, molecular sieve desiccants, silica gel desiccants, packaged desiccants, pillow paks & oxygen absorbing packets & strips. 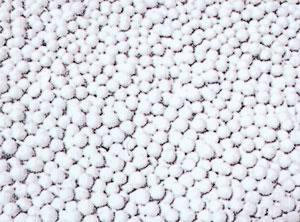 Desiccants materials include clay, silica gel, 3A molecular sieves, sorbead & activated carbon. Humidity indicator cards or desiccator plugs are available. Desiccant applications include medical, food, diagnostics, aerospace, military, computers, electronic, packing & crating. Custom printing is also available. Oxygen absorbers are approved to FDA standards. Meets Military Spec. & military standards. Activated alumina is a very porous form of aluminum oxide of high surface area which adsorbs liquids and gases without any change in form. Activated alumina will not soften or disintegrate when immersed in liquids. Activated alumina may be regenerated to its original adsorption efficiency by heating to a temperature between 350-600°F (177-316°C). Activated alumina as a desiccant, will work by adsorption. The water in the air will stick to the alumina as the air passes through it. The water molecules become trapped so that the air is dried out as it passes through the filter. This process of regenerating the alumina is achieved when the activated alumina desiccant is heated, it will let go of all of the water stored in it, allowing it to be used over and over. Delta's Desiccant Packets line consists of a wide variety of sizes, configurations, and substrates. 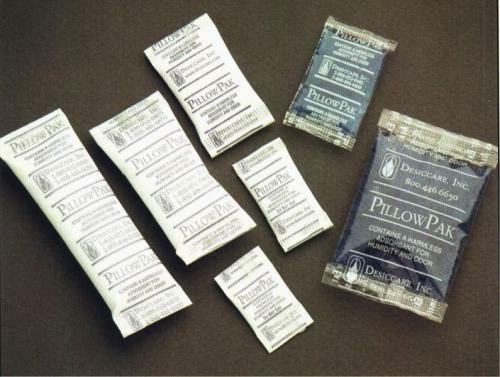 Pillow Paks can be used to absorb moisture vapor, odor or gas. 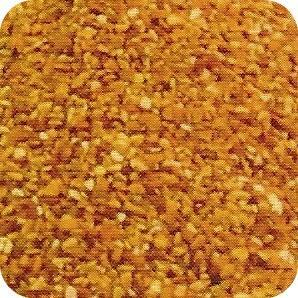 Custom blends are available and can be used as a multifunction (two in one) package. Example: 50/50 blend silica gel and carbon for moisture and odor. In addition, custom desiccant packets can be made to your specifications. These packets can be Silica Gel, Molecular Sieve, Activated Alumina or a custom blend. They can also be printed with your name and logo. Silica Gel Desiccant is a highly activated adsorbent, furnished in a wide range of mesh sizes to suit various industrial applications. It is non-corrosive, odorless, tasteless, non-toxic, and chemically inert. It is a highly porous form of silica, with an extremely large internal surface area. 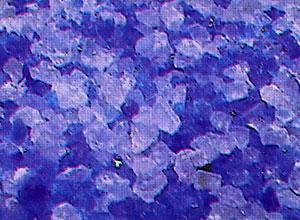 The silica gel does not undergo any chemical reaction during adsorption and does not form any by products. It is non-deliquescent and will not change its size or shape. Even when the silica gel is water saturated, it remains dry and free-flowing. 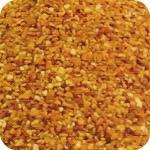 Silica Gel has a very strong affinity for water and will adsorb it in preference to most other substances. It is also a good adsorbent for HC1, gasoline-range hydrocarbons, CO2, C12, sulphur and nitrogen compounds, aromatics, and many others. Silica Gel is in wide use in many industries for a myriad number of applications where a high capacity desiccant or selective adsorbent is required. Silica Gel can absorb substantial amounts of water and other substances such as HC1, CO2, C12, or aromatics. Silica Gel is odorless, tasteless, and chemically inert. This makes it a non-corrosive and non-toxic method of controlling moisture, especially since it will not react to other chemicals and retains its size and shape. In this way, Silica Gel packets can limit the growth of mold and prevent spoilage or other damage. These silica gel packets see extensive use as a moisture absorber in everything from electronics to medicine. In particular, these desiccant packets are used in compressed air systems. By flowing compressed air through a gel packet, it is possible to prevent moisture buildup and subsequent breakdowns. This applies in industrial settings and railway locomotives. Similarly, high frequency radio and satellite transmission systems rely on a moisture absorber in conjunction with a compressed air system to prevent signal degradation. The gel is also useful in museum and libraries, where it serves as a preservation tool. By keeping moisture out of the air, these desiccant packets protect the integrity of the items being stored, many of which are susceptible to damage due to age. Other uses include cat litter and long term storage. 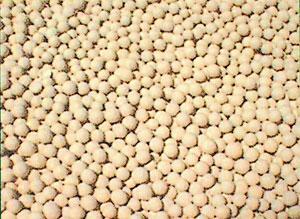 A molecular sieve is the most effective option for removing water from liquids and gases. Though older products such as silica gel and alumina desiccants have traditionally been used for such purposes, molecular sieve desiccants can get the job done with purer results. The trick with mole sieve is the construction. These adsorbents are made with tiny and uniform pores, making them ideal adsorbents. In this way, molecular sieve desiccants work like any common sieve, only on a much more precise level. When a gas or liquid is passed through the mole sieve, smaller pieces are adsorbed while larger molecules pass through. Unlike other filters, the adsorbed substance is then trapped. Therefore, when water is used in the sieve, penetrating water molecules are caught and retained in the pores, leaving the remaining liquid substantially cleared of the water molecules. In all, Molecular Sieves adsorbs up to 22% of its own weight in water. More than that, these sieves are exceptionally versatile, with adsorption possible based on molecular size, molecular affinity for the sieve crystal surface, or even the shape of the molecule. For these reasons, molecular sieve desiccants can produce gases or liquids that are virtually water free. Molecular sieve can be regenerated by heating it to an optimal temp from 130°C to 250°C. Delta's Activated Alumina Water Treatment Products are adsorbents which remove contaminants on a combination of chemisorption and physisorption and particulate (or physical) filtration for the removal of metal contaminants from water. Activated alumina, with its many types of adsorptive sites and high surface area, is the perfect choice for the adsorption of various unwanted minerals in water, with proven results for arsenic, high levels of fluoride, copper, zinc, lead and phosphates. There is also the potential for chromium, silica, selenium and mercury. Alcan’s attention was drawn to the situation in India and Bangladesh. Rural areas had very high levels of arsenic in their water, yet lacked the means to build large public water systems with regeneration. Alcan designed an iron enhanced activated alumina, ActiGuard AAFS50, to increase the arsenic adsorption capacity while maintaining all of the physical properties necessary to work effectively in a wide range of conditions. AAFS50, a globally patented iron-enhanced activated alumina, is a highly effective low-cost adsorptive material. It has been identified by the Arizona Department of Environmental Quality as the most cost-effective technology for arsenic removal. Currently, it’s being used globally for spring water bottling, point of use and point of entry, as well as small public and municipal systems. It is also being used in simple, small, gravity-feed domestic units in Asia where the requirements are 7-10 liters per day per individual. Fluoride is generally felt to be beneficial for dental health at levels up to 1.5 ppm (parts per million). However, at higher levels it has been linked to fluorosis, causing debilitating bone structure disease, as well as discoloration and mottling of teeth. Fluoride at harmful levels occurs naturally in many of the same regions as arsenic in ground water. Alcan provides ActiGuard AA400G, an activated alumina product, for fluoride removal. Due to the higher levels of fluoride as compared to arsenic, regeneration is usually required to make it cost-effective. Promoted products can be provided for applications where regeneration isn’t feasible. Any piece of equipment used to monitor, distribute, generate, compress and store process and industrial gases. All types of storage, packaging and material handling containers and devices. Shipping containers and shipping cases include bags, boxes, totes, barrels, ISO containers, crates, trunks and other vessels used for transporting materials. Specialty or proprietary products and accessories related to material handling equipment. Chemicals are the organic or inorganic molecular building blocks used in processing materials and adhesives. Raw materials include fillers, minerals, gases, and specialized chemical additives.